Catering management is not an easy task but this can be made simpler with an ideal catering management software. Catering software are specially designed for agencies providing catering services for events and occasions. Such software helps in managing every aspect of your catering business such as orders, billing, invoicing, employee scheduling, hospitality groups, and more. With these, you don’t need to waste your time on spreadsheets for staff management and cost tracking as this software can do all for you. But with a lot of catering software out there, it might be time taking and confusing to choose the right one for your business. 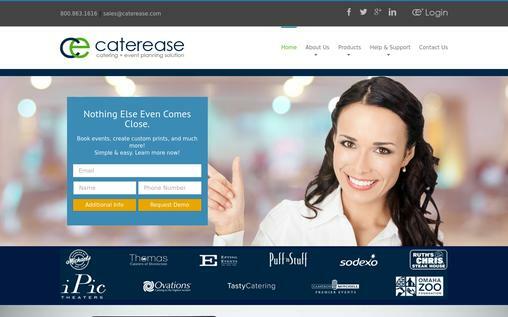 Still in search of online outlook for your catering website? 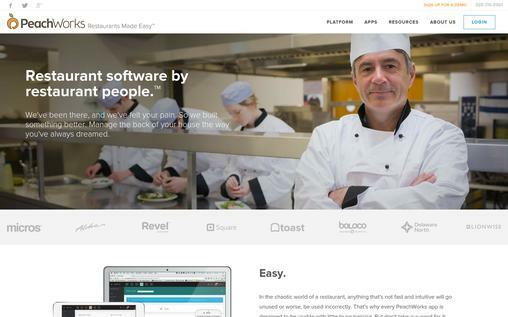 So, to help you, we have the list of 10 best catering software. So, let’s explore each one of them. PeachWorks helps you to efficiently manage your resources while you’re providing the service in a restaurant. With Peachworks, you can easily manage your recipes. It automatically calculates theoretical inventory and nutrition information. You can also customize or make your own apps to meet your needs – all while leveraging PeachWorks’s auto-mobilizing benefits, interface, and reports. You can count, report, and keep track of your inventory by combining inventory with POS integration and recipes. You can create employee schedules with PeachWorks by complying with the necessary laws and company policies. PeachWorks allows you to create a detailed checklist and you can also get real-time alerts on the task’s progress. The team app lets you distribute information, encourage team collaboration, and get feedback. You can slice and dice all the important data like inventory, employee scheduling, and others with the advanced reporting tool. 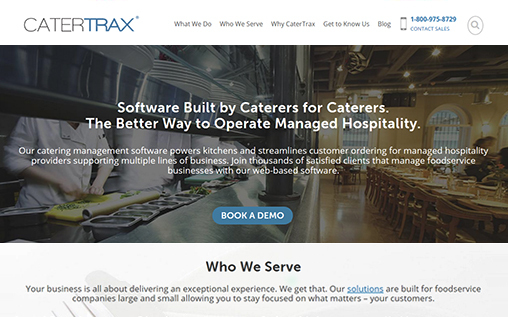 CaterTrax is a web-based catering management software that easily manages your kitchen, customers and hospitality operations. The TRAX platform enables you to streamline orders and operate multiple lines of business efficiently. It allows you to build comprehensive packing slips, preparation sheets, and Routing sheets. With this software, you can offer your customers an easy and reliable interface for navigation. You can see order history, order confirmation, and you can also track the order. Allow your customers to order anytime, from anywhere. The ordering option can be modified for customers and staff. This software automatically generates an invoice for you to email it to your customers. Know insights about your customers, create loyalty programs and track your customer’s satisfaction. You get various marketing tools to distribute coupons, send seasonal promotions and engage with your customers via social media. 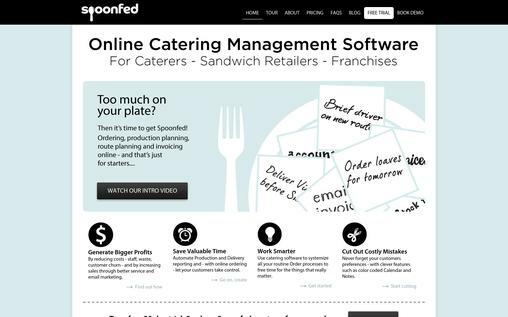 spoonfed is an online catering management software for caterers, sandwich retailers, and franchises. It offers loads of features such as ordering, route planning, production planning, and invoicing online and a lot more. You can empower your customers with spoonfed. 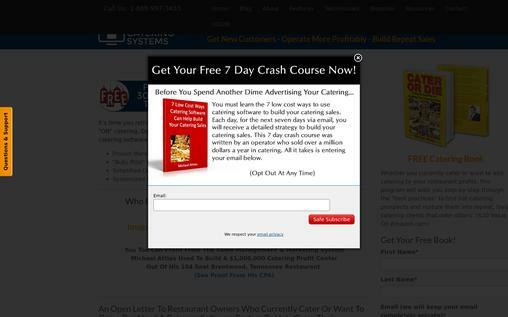 It provides your customers with specific menus, and your customers can order online. The order is automatically processed into production and delivery. The orders can be added or edited anytime by the customers. Get an online ordering process for your customers with a back office system to quickly process email, phone or fax orders. You can view all past and current orders of each customer in one place. All the production requirements can be easily viewed in spoonfed. The delivery schedule and notes is automatically produced for the drivers for fast delivery. It is possible to be in control of an unlimited number of branches, as you can set branch permission, user rights, specific menus and stocks, and more for each branch. The business intelligence tool allows you to monitor staff and sales performance, track stock, popular menus, and more. Never forget your customer’s preferences with color coded calendar and notes. It integrates with popular email service provider like MailChimp for email marketing. The price is based upon cost per order, and the cost per order gradually decreases as the order increases. The starting price is $0.75/order up to 200 orders. You can easily create detailed events by creating custom fields, editing them, and more with caterease. The standard menus can be created, and you can also create client specific menus with specific meals according to your needs. You can keep track of each activity, event, and others with its intuitive dashboard. The automatic notification feature notifies you via email or text about the latest changes in the plan or schedule. The employee-manager lets you view the detailed list of employees with their information and their schedules, which allow you to choose the right staff for the event. 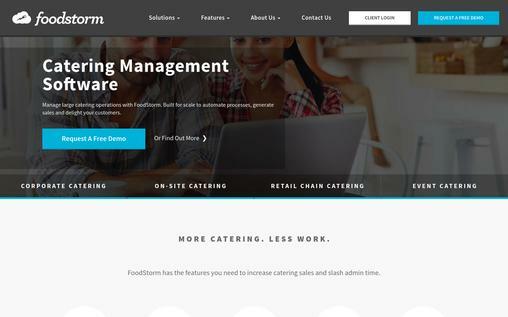 foodstorm is one of the reliable catering software to manage large catering operations. It allows you to automate processes, enhance your sales, delight your customers, and more. Your customers don’t have to waste their precious time by asking you a lot of stuff before ordering. This software is compatible with smartphones to provide a pleasant customer experience and allowing them to order from anywhere. Foodstorm offers you an online shopping cart where your customers place their orders online from your website. This saves your time and gives customers more control while ordering. You can view all your orders on a single platform, which allows you to track your orders easily. You can quickly add and edit new orders by adding custom fields. The custom and personalized emails can be created to be sent to your customers, providing details about their orders and quotes. The advanced reporting tool lets you create custom reports, view sales growth, top customers, and more for improving your business. It seamlessly integrates with top software like Xero, SAASU, PayPal, MailChimp, and more for added functionality. Your customers can pay online via credit cards for their orders. Pxier catering is a hosted software with full of exclusive features. Some of its biggest clients are Radisson Hotel, CHOICE HOTELS, and more. This software is designed to manage your catering business needs such as customer management, invoicing, payment, contract, customer feedback and more. You can get started with Pxier without any setup cost and easily create standard and specific menus according to your needs. Allow your customers to book request online through your website. Get your catering contracts instantly signed by your customers electronically. The services and rental feature allow you to build a master list of all products and services you would like to offer to your customers. The professional invoice with detail information can be easily created and emailed to your customers with Pxier. Allow your customers to pay through various payment methods like credit card, PayPal, and more. The advanced reporting tool lets you view business progress, sales data, catering events, and more for further improvement of your business. The inventory management solution included with this software allows you to track and manage every item in your stock. It is available for a free trial of 30 days. You can choose from Starter, Advanced, Professional, and Enterprise Package. The starting price is $29. 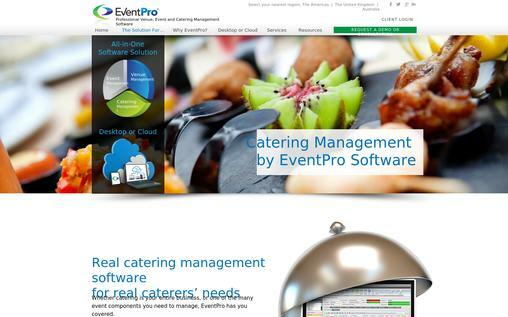 EventPro is an all-in-one catering software that provides all the necessary features required for an effective catering management. You can add and edit the event dates in advance, and view all the upcoming events by filtering them on the basis of days, weeks, months, and years. It is very easy to organize your events, whether it is an indoor or an outdoor event with EventPro. The beverages along with their price can be created and edited quite easily according to your requirement. This software is available in both cloud and desktop version. All the lists of important things like chairs, tables and others can be created and tracked. All the details of the staffs can be recorded and viewed, to assign right staff at the right event. 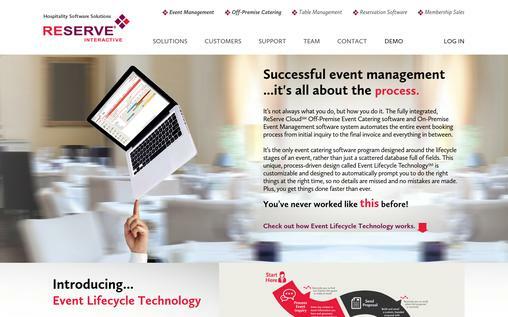 Your revenue and costs per items and events are automatically calculated by EventPro. The advanced reporting tools let you view all the important finance, booking, and management data for further improvement of your business. Your customers can easily book the events online by looking at the available place, time, price, menu, and more. You can send professional invoices with all the order details online to your customers. The integrated CRM allows you to easily manage your clients and keep track of their prospect communications. Restaurant Catering Systems has developed marvelous catering software with plenty of features. It will help you to save your time and enhance your customer experience. The easy prospect management system will let you convert your prospect into loyal customers, as you can record all their necessary information like contact number, meeting dates, and more, and access them whenever you want. You can also create a reminder. The task of creating a quote is quite simple with Restaurant Catering Systems, as you just need to compile and edit standard cover letter, quotes, agreements, and others, and send them. You can add, edit, and keep track of the orders, phone calls, meetings and proposals with the incorporated Customer Relationship Manager. Your customers can order online from any devices, view order history, and more. You can easily create professional, detailed invoice and send it to your customer. It is easy to create standard and specific menus, manage delivery times, schedule orders for your drivers, and more with the advanced catering operations system. Its accounting system allows you to create invoices, process credit cards and accepts checks. It has a phone tracking system to record all incoming and outgoing calls. The call recording can be attached to customer records and can be emailed or played back. A smart sales analytics system lets you view key information like lead source, sales increment, employee performance, and more. 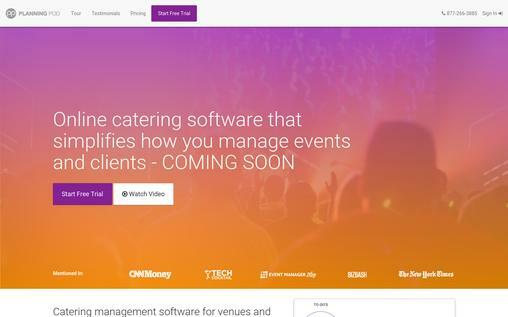 ReServe is a fully integrated cloud software that automates the entire event booking process from the inquiry to invoicing and everything in between for an easy catering management. It lets you manage unlimited events with the help of drag and drop multi-view calendar, which prevents you from double booking. It is extremely easy to create event orders and proposals with the help of point-and-click technology offered by this software. The customer relationship management tool allows you to maintain the important records of your customers such as phone conversations, buying history, emails etc. You can easily generate automated to-do lists and follow-up reminders for maintaining your customer base. The e-payment integration feature allows you to electronically process and record all the payments, deposits and recurring payments associated with an event. You can instantly send the professional invoice to your customer. This software automatically tracks all the important changes in the event orders. The items and cost of the food and beverages can be easily added to the menu, and the software automatically calculates the profitability and cost. The financial and historical reporting show you all the important information like forecasts, invoices, payment summaries, revenue, and more to further improve your business. You can also schedule the reports to be e-mailed or exported at pre-defined times. This software can be accessed from multiple devices such as mobile, tablet and PC for greater flexibility and control. Planning Pod is an easy-to-use online catering software that simplifies how you manage your clients and events. You can track all the necessary information like menus, price, rentals, and more in a single platform. It consolidates everything in one place to avoid duplication, allowing you and your staff to have access to an up-to-date catering information. With Planning Pod, you can easily create unlimited menu templates, adding your own food and beverages list. You can further edit the menu in the future, according to your needs. It allows you to build your own mobile-friendly event website with social sharing option to attract attendees. The room scheduling tool prevents from double booking, as you can view the booked banquet and spaces with dates on the master calendar. You can select the right staff for the right event by viewing all the necessary staff information and do correct staff scheduling. All your inventories assigned to each event can be viewed, which allows you to effectively manage your resources. Get various business management tools such as lead tracking, invoicing, payments and e-signatures. You can view the reports showing detailed information of your contacts, leads, invoice, orders, payments, and more. It integrates with MailChimp, Salesforce, Dropbox, and other popular application. There are six packages to choose from, and the starting price of the package is $9.99/month. 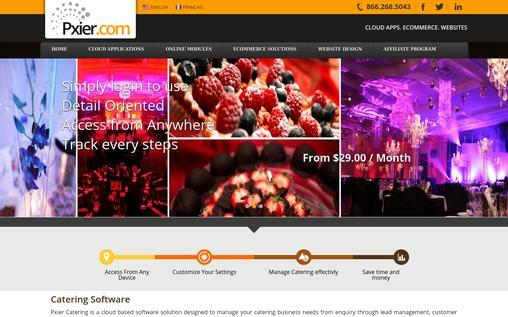 Now you know about the top catering software. Do you still want to perform catering management function with your spreadsheet? Well, it is your choice. However, you will lag behind competition if you do so. You simply cannot compete with other agencies with manual management. All of the catering software has their own distinct features, and you should analyze your business needs carefully before actually purchasing one of the catering software. You might not be familiar with the highly functional promotional service for catering business i.e. MailGet Bolt – Email Marketing For Outdoor Catering Services & Food Services.